Juicy Italian antipasti. Take it to the next level. Suitable for vegetarians. Juicy, buttery and beautifully tasty. 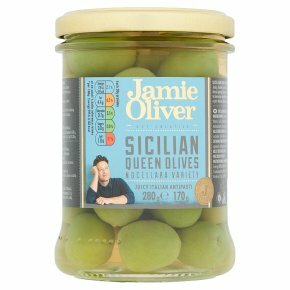 From Sicily, these plump olives are matured for six months to develop incredible flavour. They re perfect as a pre-dinner nibble. Made with love.